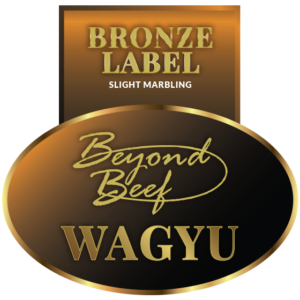 Wagyu Beef is meat with small, finely interspersed specks of fat called marbling. The marbling is so subtle and consistent that, when prepared correctly, it bastes the steak from its interior to ensure juiciness and depth of flavour. 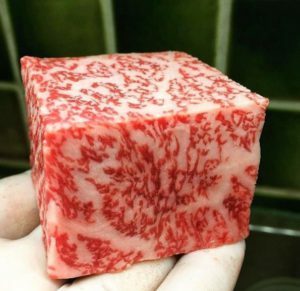 Marbling is the most reliable component of meat taste and tenderness. It is measured in the carcass by video image analysis or as percentage fat. Our only goal is that the end consumer has a ” consistant eating experience every time ” they buy our beef. Consumers world wide but especially in South Africa are frustraded with a varying eating experience. Buying the same cut of beef but experiencing large variances in Tenderness, Juiciness and Flavour. Read about the ” Health Benefits “ here. These 3 components are the only guarantee for a consistant eating experience. Therefore all our individual cuts are specifically graded in relation to what we believe the eating experience will be. With this methodology we want the consumer to “get what they pay for” every time they buy a Beyond Beef steak. 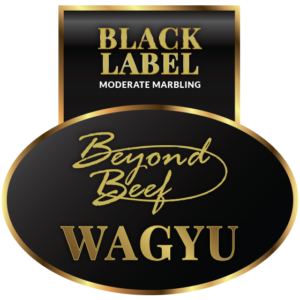 Marbling begins at about 12 months of age and is maximised by 36 months, therefore Wagyu are ideally slaughtered as 3 year olds. 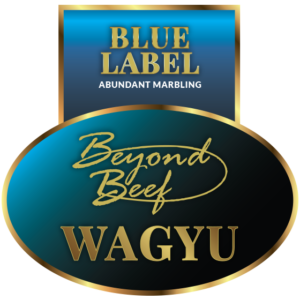 Our Wagyu carcasses currently come into meat production between 32 – 36 months of age. They are harvested at our ZA export approved facility in Volksrust, Mpumalanga Province. All whole carcasses are ripened on the bone for 14 days before fabrication starts in our De-boning plant in Eshowe, KwaZulu Natal province. Here we impliment a meticulous designed procedure where a carcass turns into a graded steak. All our steaks are cryovac packed and will give you a 3 month shelf life if stored and refrigerated correctly. Below is a description of what eating experience you may expect with each label. This is our flagship product…!! and a tenderness score of between 7 – 8.
and a tenderness score of between 5 – 7. Welcome to a world of predicatable eating experiences !! !